The militants believed to be from Jaish-e-Mohammed, fired at the former police officer. 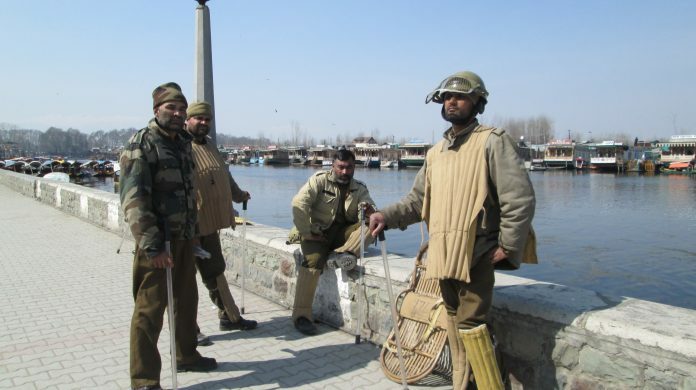 Srinagar: A former Special Police Officer was shot dead by militants in broad day light on Wednesday in a village in Pulwama district of South Kashmir, officials said. The deceased has been identified as Ashiq Ahmed Nayek, they said. The militants, believed to be from Jaish-e-Mohammed, fired at Nayek while he was walking on a road in Pingleena area, where three terrorists were neutralised in an encounter on February 18. The 25-year-old Nayek had joined the Army’s Jammu and Kashmir Light Infantry (JAKLI) but left midway in September last year after he could not cope with the training, the officials said.